As if buying or selling a home in Charlotte wasn’t hard enough in today’s housing market, your Charlotte home HVAC system may also have an impact on the sale! After all, nobody wants to buy a home and learn that the central air or heat pump system, which can cost upwards of $4000, needs to be replaced immediately! In this guide to HVAC in Charlotte, we are going to take a look at how the age, appearance and overall working condition of your home HVAC system may affect the price, or the sale of your home in Charlotte. We also wanted to bring in some outside expertise for this topic, so we enlisted the professional opinion of Charlotte Realtor, Buddy Frey. 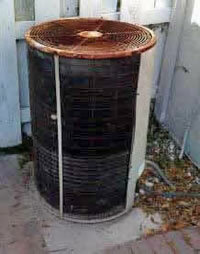 Q: Overall, do home buyers consider the age or condition of the HVAC system when buying a home? A: Yes, but usually after 10+ years or so, they know at some point it will have to be replaced. I would guess that this will mostly effect younger or less cash ready buyers. Home warranties have helped take the sting out of after sale repairs. Q: How Often has a failed home inspection due to a mechanical issue (like HVAC) been the cause of a closing falling through? A: I can only speak for myself, but almost never. While issues have come up, I have always been able to resolve them 1 way or another…yes, I’m that good. Q: During a pre-sales inspection, what does the home inspector check the HVAC system for? A: Mostly ability to cool and heat, insulation of the piping, condensation pooling, gas furnace burners and return air system. Q: Does a Newer HVAC system add any real value when buying or selling a home? A: I would say yes, it will add value to a home especially if other homes in the area have not upgraded or replaced. Finally, we asked Buddy if there was any recommendation he would give to a buyer or seller as it relates to the home HVAC system in their Charlotte home. He believes sellers should have their systems pre-inspected before they put their homes on the market… no one likes surprises especially during a real estate transaction, and having a professional check out the system in advance can help homeowners avoid unfortunate circumstances. We truly enjoy the feedback from our Charlotte HVAC Guide readers! Have you recently purchased or sold a home in the Charlotte area? 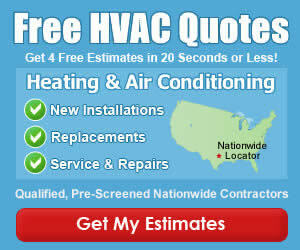 If so, tell us what effect the home HVAC system may have had on your experience.